LoA_Collect Angel’s Treasure Chest, Earn up to 16,000 Diamonds! Collect Angel’s Treasure Chest, Earn up to 16,000 Diamonds! 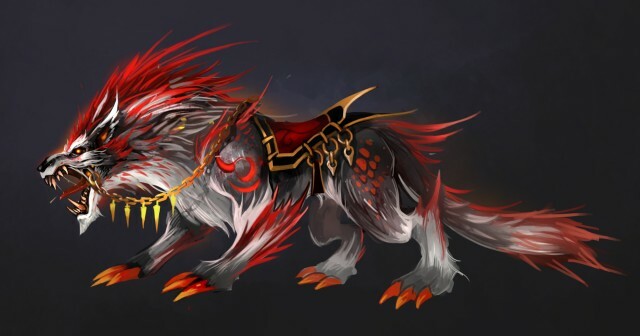 Description: After activating Noctuma’s Treasure Chest on June 6 & June 7, you will receive up to 1300 more Diamonds and rare treasures worthy more than 4000 Diamonds from Noctuma in the following 5 days! Requirement: Collect one Noctuma’s Treasure Chest for 1000 Diamonds on June 6 & June 7 from the Hot Events menu. Description: After activating Amora’s Treasure Chest on June 6 & June 7, you will receive up to 8000 more Diamonds and rare treasures worthy more than 20000 Diamonds from Amora in the following 5 days! 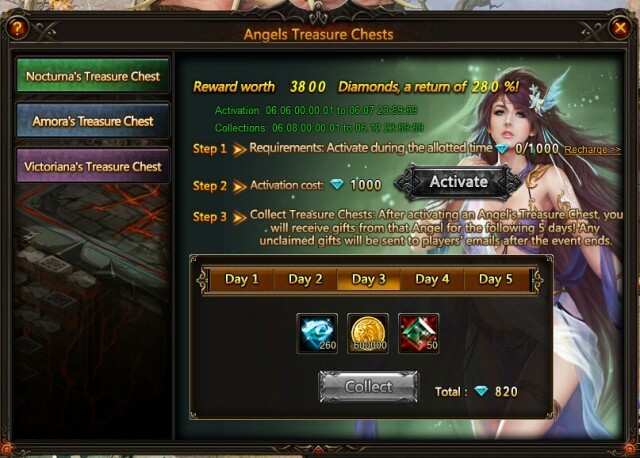 Requirement: Collect one Amora’s Treasure Chest for 5000 Diamonds on June 6 & June 7 from the Hot Events menu. Description: After activating Victoriana’s Treasure Chest on June 6 & June 7, you will receive up to 16,000 more Diamonds and rare treasures worthy more than 40000 Diamonds from Victoriana in the following 5 days! Requirement: Collect one Victoriana’s Treasure Chest for 10000 Diamonds on June 6 & June 7 from the Hot Events menu. Description: Reach required Devotion Points to exchange Quiz Vouchers with Diamonds. 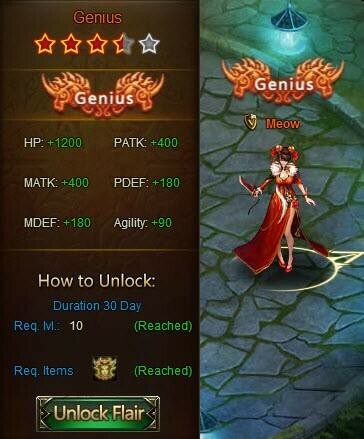 Description: Log in every day to get Quiz Vouchers! Description: Cumulatively recharge certain amount of Diamonds during the event time to get Magical Keys, Quiz Vouchers and many other rare items! Description: Complete daily challenges to get rewards! More exciting events are coming up through June 6 to June 12. Check them out in the in-game How Events menu now!